The new SP150 fits low speed applications. It processes about 150 containers per minute. Changes over less than 10 minutes. Allow Bradley compliant US Standards. 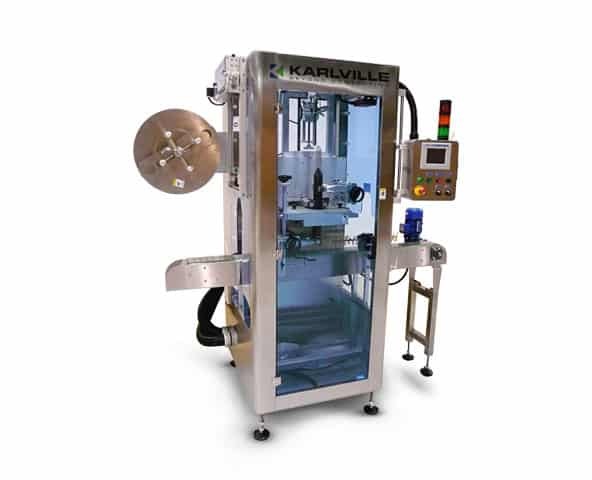 The Heatpro is Karlville’s electric shrink tunnel solutions, ideal for multiple applications at a reasonable investment value. The system utilizes hot air which is heated and conducted inside the tunnel through two independent temperature zones. 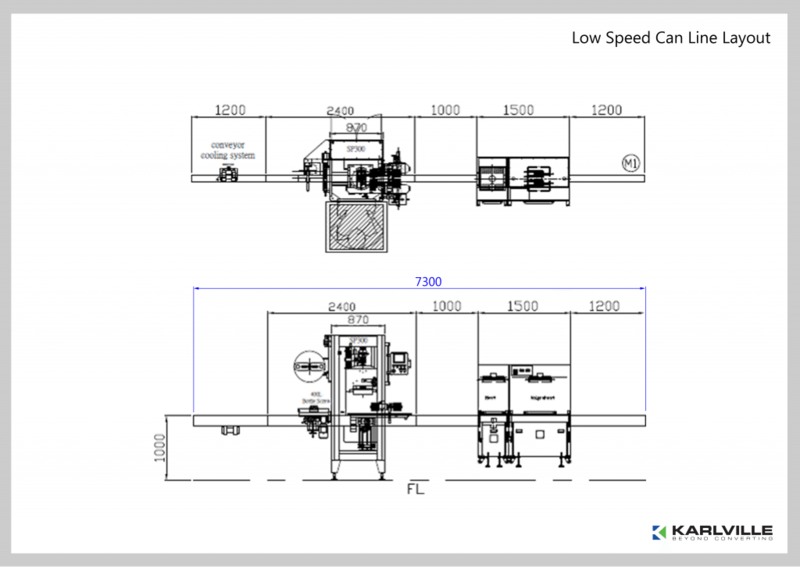 The tunnel may be run with a traditional conveying system, for traditional shrink sleeve applications. Ideal for rotation of containers in order to obtain an equal shrink result in all of the container. The conveyors run at different speeds so the containers spin through the tunnel. This system requires two separate driving motor systems. The focus shrink section is used when fixing the label for half body sleeved or specific bottle shapes.